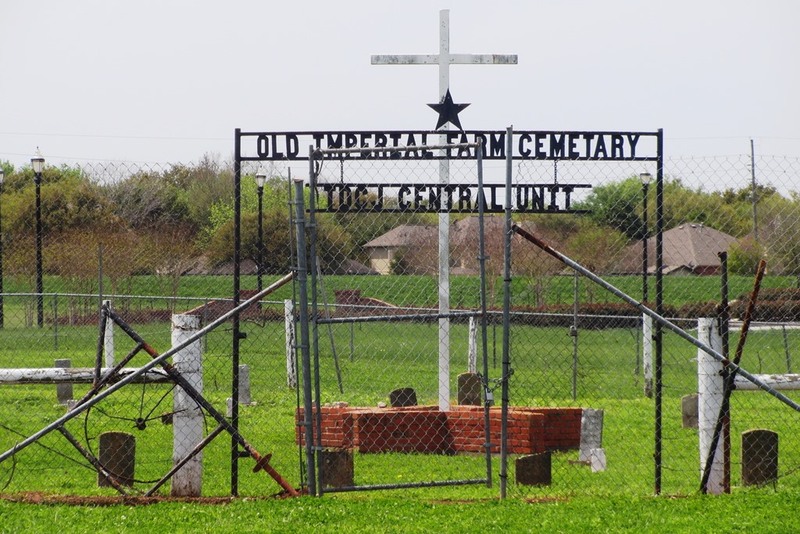 In 1878 the State of Texas opened a correctional facility at the Imperial Sugar Plantation in Sugar Land. At that time the State operated a convict lease program that allowed prisoners to work for private companies (more about this operation follows.) In 1908 the Texas Department of Corrections purchased the 5,200 acre plantation. A year later the Imperial State Prison Farm, one of the first penitentiaries owned by the State, was opened. 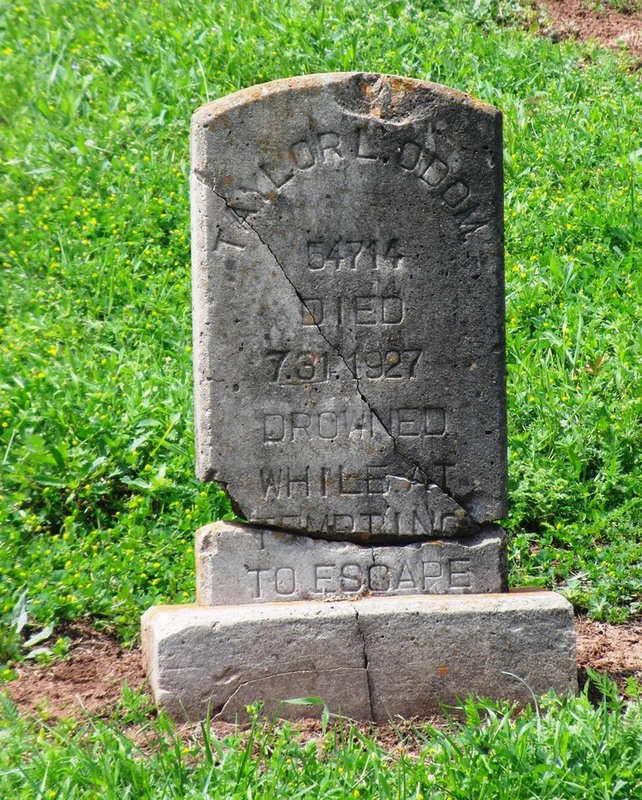 In 1912 a small cemetery was dedicated for the burial of prisoners who died while incarcerated. It was used until the early 1930s. The penitentiary’s name was changed to the Central State Prison Farm in 1930 to reflect the unit’s location as a central farming and produce distribution center for the penal system. In 2011 the Texas Department of Criminal Justice closed the facility. A convict lease system was created by state governments in the South following the War Between the States. There were two reasons for this. First, poor economic conditions in the defeated Confederate States led to a large increase in lawlessness, resulting in more perpetrators being sent to prison. Second, the drained state treasuries lacked the funds to imprison and feed a large number of convicts. Politicians saw the lease system as a way to solve the problem. It initially seemed like a good idea – the state was paid money by private firms who employed the prisoners and the inmates were supposedly provided with more humane conditions than the states could offer. The first lease programs in Texas were instituted in about 1867. At that time two railroads contracted with the State to lease prisoners to construct roadbeds for rail lines. Administration of the deal soon became a nightmare as the profit motive for the private sector (most labor for the least cost) and the State (minimal food, uniforms and living conditions) resulted in termination of the contracts relatively quickly. Other leasing schemes were tried. The end results were the same and the program was discontinued in 1908. By 1914 all prisoners were back under state control, working in the correctional unit, on state-owned farms or acreage leased from private firms. 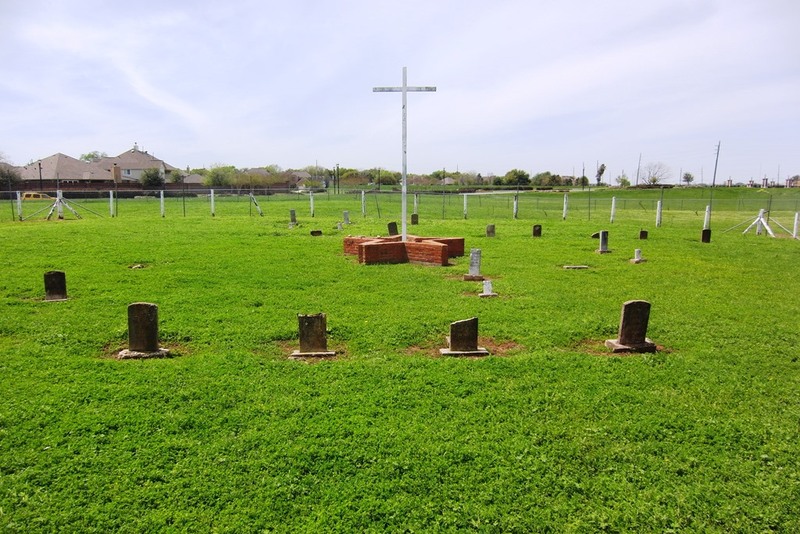 There is currently a dust up about the cemetery occurring in Sugar Land between activists who want more done to honor and preserve the property and the City Council that is offering to acquire a Texas Historical Marker that explains the cemetery’s importance. If you are interested in following the developments visit the Sugar Land Sun newspaper’s web site.